Northerly Automotive Solutions Pvt. Ltd, which operates automobile services platform GoBumpr, has raised $600,000 (around Rs 4 crore) in a pre-Series A round of funding from existing investors The Chennai Angels (TCA) and global investor network Keiretsu Forum. In a statement, GoBumpr said that the individuals who contributed on behalf of TCA included Vinod Kumar Dasari, managing director of Ashok Leyland; Shankar V, director at Acsys Investments; Ramaraj R, founding member of Elevar Advisors. Priyamvada Balaji, wholetime director at Lucas Indian Service; Ramesh Mangaleswaran senior partner at McKinsey; and Gopal Mahadevan, chief financial officer at Ashok Leyland were the other members of the angel network who participated. In February last year, GoBumpr had raised $300,000 led by The Chennai Angels. Before that, the startup had raised funding from the Chennai chapter of global angel network Keiretsu Forum in the latter half of 2016. GoBumpr was founded by Karthik Venkateswaran, Nandha Kumar Ravi and Sundar Natesan in August 2015. Venkateswaran and Ravi are alumni of Indian Institute of Management-Shillong, while Natesan is a graduate from the College of Engineering, Guindy, Chennai. The startup offers car and bike owners an end-to-end platform where they can find, book and pay for automobile services. GoBumpr provides various services including regular servicing, repair jobs, body works including denting, tinkering, painting and also offers 24-hour on-road assistance. It is currently operational in Chennai, Coimbatore, Bengaluru, Hyderabad and Trichy. “Beyond services, the extension of GoBumpr’s platform to spares, tyres, accessories, used cars has worked really well for the company and this overall aftermarket tech platform will be a boon to the industry,” said Dasari of Ashok Leyland. In April, Bengaluru-based aftersales car service provider Pitstop raised $1.6 million (Rs 10.6 crore) in a pre-Series A round of funding from existing investors led by Singapore-based Goldbell Group and Blume Ventures. A month before that, the company had acquired MotorWhiz, a mobile platform for car service and repair jobs, in a cash-and-stock deal. Also in April, car-servicing startup Carcrew Technology Pvt. Ltd, backed by TVS Group, had raised $2 million (Rs 13 crore) in a fresh pre-Series A round led by a private equity firm. Before that, the startup had bought Delhi-based ClickGarage in a stock-and-cash deal in February. 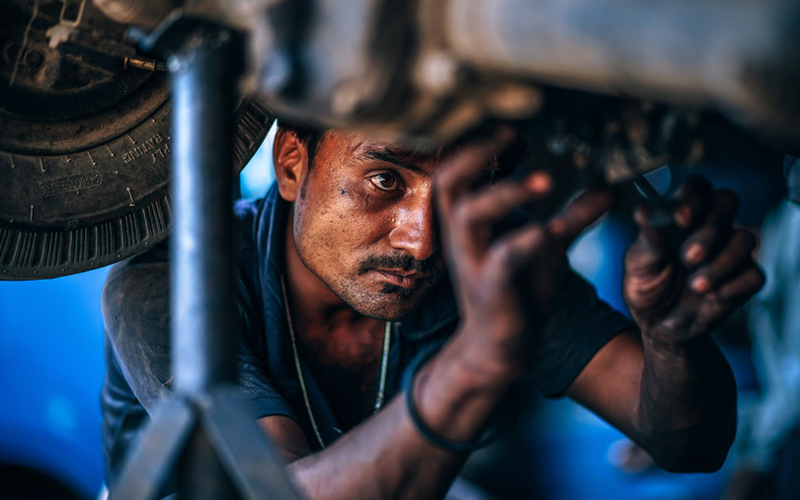 In December last year, Noida-based online auto services startup GarageOnRoad had raised an undisclosed amount in a seed round from Gaurav (Jerry) Gupta, senior vice president at reinsurance multinational Swiss Re.